If you’re a rock star ID checker, you are leading by example. As more states come on board with legalization, we show them that regulation works. Although cannabis often makes us laugh, being compliant in the cannabis industry is serious business. We love sharing tips and suggestions for being even more compliant. One of the first and easiest steps to being compliant is to prevent unauthorized individuals from entering our stores and attempting to purchase regulated product. ID Compliance Stings happen. Exhale. You know what to do and you’ve got this! Having to show identification at a cannabis dispensary may be inconvenient, but it’s extremely important. In order to ensure compliance, cannabis dispensaries have to know that the consumers they are selling to are of legal age, or in the case of an underage patient, to confirm their identity. It may seem like a small risk, and to some consumers, it may be seen as unnecessary. But the cost of a violation is simply not worth it and therefore it is paramount. What happens when a dispensary fails an ID compliance check? Regulators in legal states regularly conduct sting operations in which an underage officer is sent into a dispensary to try to purchase cannabis. Sometimes it involves multiple officers coming in separately. If the dispensary asks for ID and confirms that the person is underage and asks them to leave, the dispensary passes the compliance check. If they don’t, bad things occur. Typically dispensaries in legal states receive a fine for a compliance check violation, but repeated violations could result in the dispensary being shut down. Dispensaries could also have their license temporarily suspended, and since compliance violations are public, they will very likely receive negative publicity. An ID compliance check violation is not just bad for the dispensary’s (and budtender’s) reputation, it’s also bad for the larger industry. The cannabis industry is and has been under a microscope at all times. Cannabis opponents and mainstream media are ready and waiting for a violation to occur so they can amplify it. Cannabis opponents will point to a violation well after it has occurred and even after any penalty has been completed. Opponents paint the industry with a broad brush, stating that one bad apple is representative of the entire industry, even if the apple in question is really just a person that messed up once. With that in mind, if you are a budtender or a customer, always be happy to participate in the ID check portion of a dispensary transaction, no matter how old the customer is. The burden to have an ID checked at a dispensary should not land solely on the budtender or other dispensary staff. They are obviously on-the-clock, but that doesn’t mean that a customer can’t be proactive. When you walk into a dispensary as a customer, already have your ID in hand. That way it makes it quick and easy to present to the first staffer that you see. 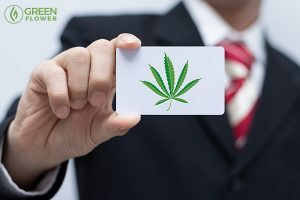 After the budtender/staffer finishes verifying the ID, the customer should thank them for asking, and for helping ensure that the industry’s reputation remains strong. The cannabis purchasing experience has come a long way in recent years. All cannabis purchases used to be made in the shadows. Consumers would have to track down an unregulated dealer, risk criminal prosecution, and jump through who knows how many hoops to acquire untested cannabis of unknown genetic origin. We cannot go back to that. Now consumers in legal markets can go to brick and mortar buildings to make purchases legally or have the cannabis delivered. The options are plentiful, and the process is fairly effortless. Having to ask for or pull an ID out of a wallet, purse, or pocket is a small price to pay in the grand scheme of things. Do your part! 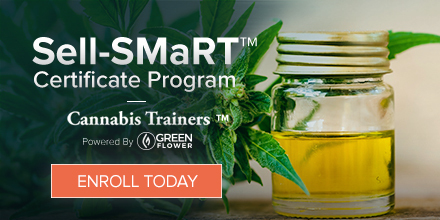 Cannabis compliance training on-demand. Enroll now! The online Sell-SMaRT™ training program can benefit you or your team today! Next PostTips for making a Top 10 List for improving your life!